Discussion in 'Automobilista - General Discussion' started by Loose89, Sep 9, 2018. 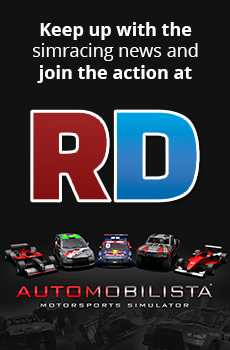 Hi there, having now run half a season of our Supercar season at Automobilista Australia we have come across a couple minor issues which while not game breaking are things which need to be looked at by those at Reiza. We would have made these tweaks ourselves but as Reiza content is hidden we cannot make these changes. Brakes: Despite having the majority of a Supercars weight at the front of the car due to the engine and the already heavily front biased brake balance the rear brakes overheat upwards of 200c more than the front brakes, recent telemetry from the current real life Supercar shows that front brakes are generally 150c higher in temperature than the rear brakes. Currently it heavily discourages drivers from having more central/rearward brake biases as the rear brakes simply overheat regardless of how much brake ducting is used. Re-Fuel Rate: Currently the time it takes to re-fuel in AMS takes half the amount of time it does in Supercars, a full pitstop including filling an empty tank to full should be double the length it is currently. This in particular has made races single strategy events, when some races it could have been a viable option to pit twice if the length it took to refuel wasn't so short. Tyres: While the soft tyre is generally fine (although actual Supercar drivers have confirmed that they're not realistic in how they perform) the hard tyre is completely unusable. The harder tyres are or were used at Bathurst and the lap times achieved by capable drivers on such tyres are significantly off what times were and are achieved in Supercars, they lack grip all around and not only that they don't actually wear much better than the soft tyres. The only times drivers have used hard tyres are because they never drove them before and weren't sure if soft tyres would last the distance they wanted, each driver saying afterwards had they known that they would never have used the tyres had the known how bad they are. That's the gist of the feedback from those that have driven in the league and the admin team so far this season, while we do hope this feedback will be taken on board and there will be tweaks in future we realise that Reiza staff probably have no interest or the time in making any effort in changing these minor tweaks as they are I'm sure working hard on other projects, but we do hope. The superv8´s are one of my favourite cars, and after many hours of training and racing in a league with them, I definitely agree that the hard tires and completly useless... also that re-fuel rate is to quick. In the pre race analysis they show a lot of technical stuff that can useful. The feedback we got were the tyres are "too wooden" and a little too stiff, the rear tyres spin up too easily (you don't see Supercars massively break traction like what happens with these tyres) and also the cars have a tendency to understeer more than oversteer under power, they're front end limited. For comparison a lot of Supercar teams and drivers actually use the EEC GT3 mod as the tyres and car handle more like an actual Supercar than the current one. I guess that improving the hard compund, have more realistic brake temperatures and re-fuel times, and adding height adjustment, could be nice improvement to the mod.